WordPress is a higly configurable, free, open source CMS(Content Management System) originally designed for bloggers but eventually evolved into a platform that hosts more than 60 million websites. There are thousands of templates to choose from. The purpose of this page is to highlight some of the best and most used themes and briefly explain features that set them apart to help you make better decisions about selecting a template to use for your website. All the layouts below are responsive which means they will look good regardless of what device your visitors view your site on. 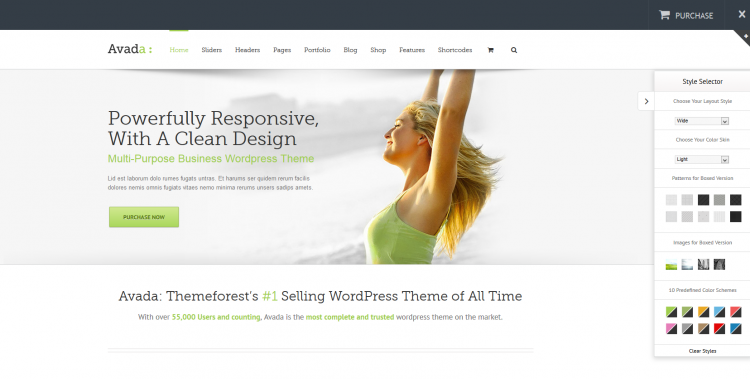 Avada is one of the top selling themes with over 65,000 purchases. This may be the first and last theme you will ever need to buy. Created on August 16, 2012 with constant updates as recent as April 19, 2014. Some of the main features include: custom mega menu; one page parallax, woo commerce 2.1+ ready, button shortcode additions, powerful new page options, enable/disable both header/footer, transparent header over slider, custom menu per page, new divider shortcode, new theme options, one page woo checkout, wp 3.9 ready. Avada is a 2 column layout that works in IE 8-11, Firefox, Safari, Opera & Chrome. A highly responsive layout that will look good on any device. Multiple designs in one as a full reponsive theme. X was built in conjunction with Internet Marketing Experts. Created in November of 2013 this theme is constantly being updated with new features and was updated as recently as April 18, 2014. This theme is designed to work in any type of category including all purpose, blog, creative, photography, professional, business, ecommerce & more. Some of the best features include: responsive, retina ready, typography with 600+ google fonts, thumbnails, shortcodes, photoshop with all psd files available, site layout customizations, 100% fluid, SEO compliant, sidebars, translations, portfolios & more. 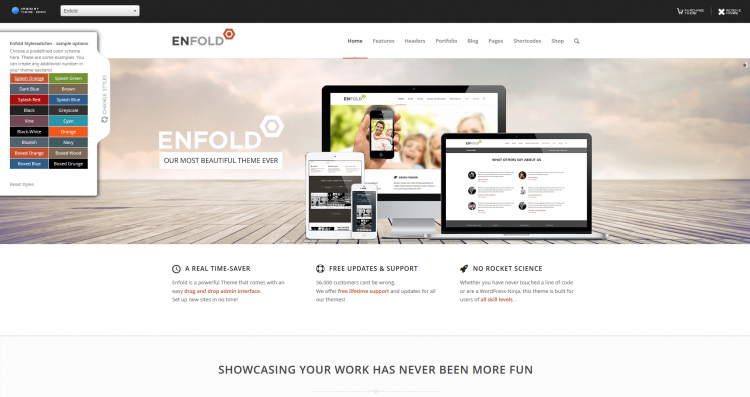 Enfold is a super clean, flexible & fully responsive WordPress Theme suited for business websites, ecommerce or shopping websites as well as users that want to showcase their work on a portfolio site. The theme is built on top of the Avia Framework and offers support for multiple languages. There are tons of options so you can modify layout, style, colors & fonts directly from the backend. Quickly build your own skin or use one of the amazing 18 predefined skins from within the WordPress Admin Panel. Some of the another main features include: outstanding support with its own support forums fairly active 24/7, famous 2 minte setup so installation is quick, retina ready, easy to understand admin area with no coding knowledge necessary, narrated videos & documentation, build your own shop with the free WooCommerce shop plugin, built with the best practices of SEO in mind, translation ready, many portfolio varations available & much more. The theme behind Salient is beauty & power combined. Salient is a clean and well documented responnsive layout. This theme comes packaged with a visual page composer for you to enjoy building gorgeous pages with drag & drop simplicity. 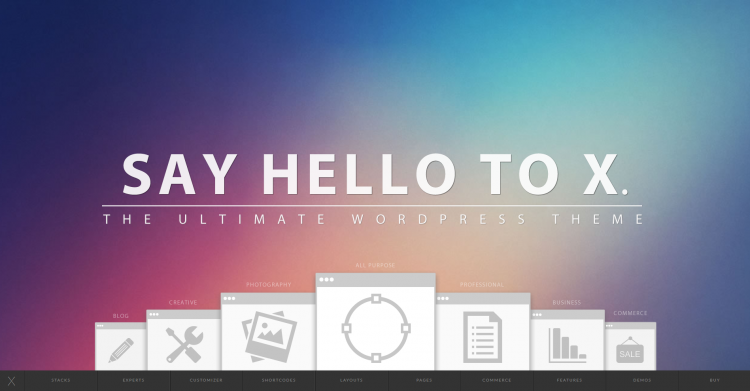 You’ll enjoy the power of this fully customizable theme with it’s drag & drop simplicity. Built in with responsive style in mind, rest assured, your site will look crisp & clean no matter what display your user is on. Take advantage of a user friendly options panel, altering the aspects of your site is easy with a few clicks and no coding required. There’s tons of HD video tutorials so you never have to feel lost about using something within the Salient theme. Salient is also both WooCommerce ready and SEO optimized. Get premium support and all updates free for life. Last update was on April 17, 2014. Come see why almost 15,000 people have purchased this theme. 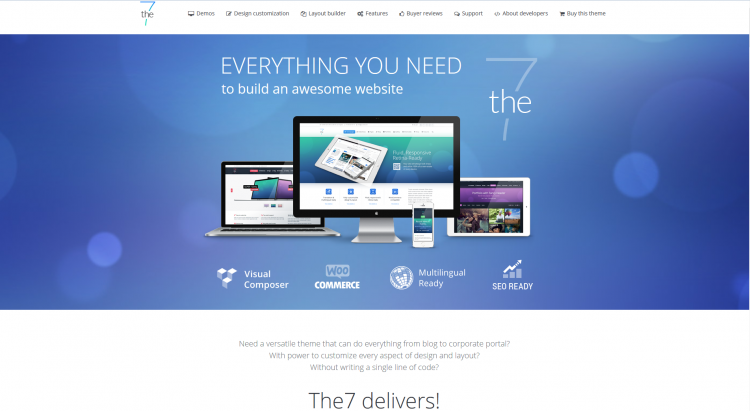 The7 is a scalable, performance & SEO optimized, responsive, retina ready WordPress theme with many potential uses. It will fit nearly any site whether its big or small. From huge business corporate sites to small personal ones The7 is a great foundation for your next project. You can customize almost every aspect of the appearance. There are 11 pre made ready skins in different color schemes serving many different purposes. This can be an excellent starting point for your own custom designs. Other features include: unique page templates, SEO optimized, cool & trendy design features, plenty of layouts(for blog, portfolio, gallery), WooCommerce support out of the box, translation & multi-language ready, tested compatibility with most popular plugins & more.